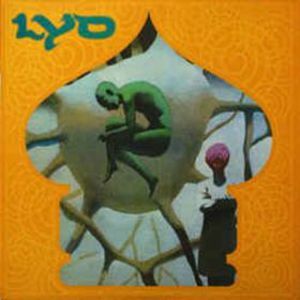 Lyd can refer to several bands: 1) Lyd. A Heavy Psychedelic Rock band from the USA, from the 1970s. Their music is a very violent abrasive garage punk with very psychedelic grafts, some great garage guitar psych with intense basement atmosphere and junkie lyrics. Discography: 1970 Lyd Liner Notes: Very much in the school of heavy psych with ripping wah-wah fuzz and wasted stoned vocals this album is finally housed in the psych packaging it requires. The vinyl is a 10" mini album format and the CD is in a mini gatefold LP sleeve (this is a short album at just over 21 minutes). 1) Lyd. A Heavy Psychedelic Rock band from the USA, from the 1970s. Their music is a very violent abrasive garage punk with very psychedelic grafts, some great garage guitar psych with intense basement atmosphere and junkie lyrics. Liner Notes: Very much in the school of heavy psych with ripping wah-wah fuzz and wasted stoned vocals this album is finally housed in the psych packaging it requires. The vinyl is a 10" mini album format and the CD is in a mini gatefold LP sleeve (this is a short album at just over 21 minutes). Originally recorded in 1970 as a one sided acetate. A very few were sold. 2) LYD (Lek Ytringsfrihet og Demokrati). 2). A Norwegian humour/novelty band associated with the Duplex records label. They have released several ep's and singles as well as an album, "Takk for kniven" in 1998. Now on hiatus. Personnel: Egil Hegerberg (vocals, guitar, bass), Lars L?nning (Vocals, guitar, drums, bass and Aslag Guttormsgaard (vocals, guitar, drums, bass). 3) Lyd. A powerful Norwegian girlie rock band from Arna, Bergen. Mainly inspired by punk. Released an EP named "Best of Lyd" and is known in Bergen for being a great live act.